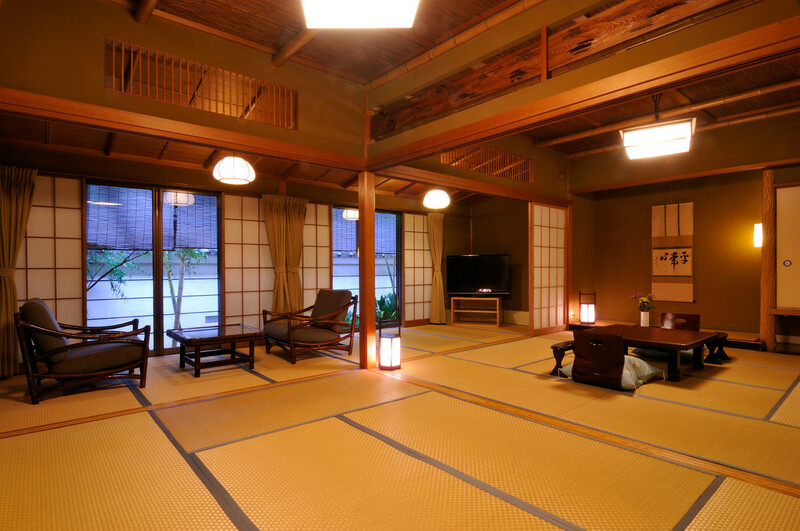 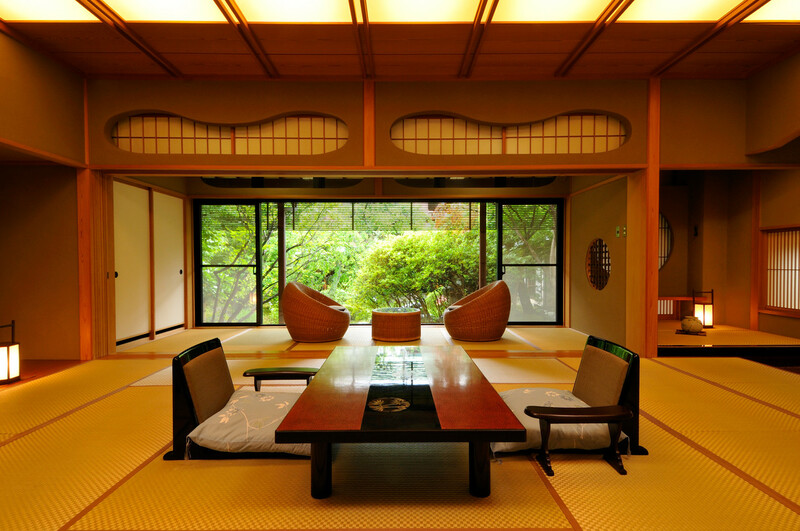 Rooms - Shoheiso, traditional hot spring hotel, onsen ryokan, Izu Nagaoka Onsen resort. 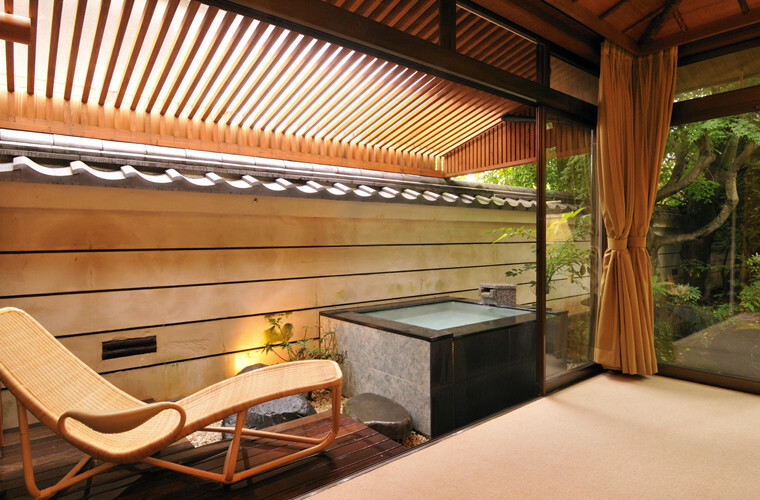 A fully-equipped Japanese style guestroom with a private bath and open-air hot spring bath. 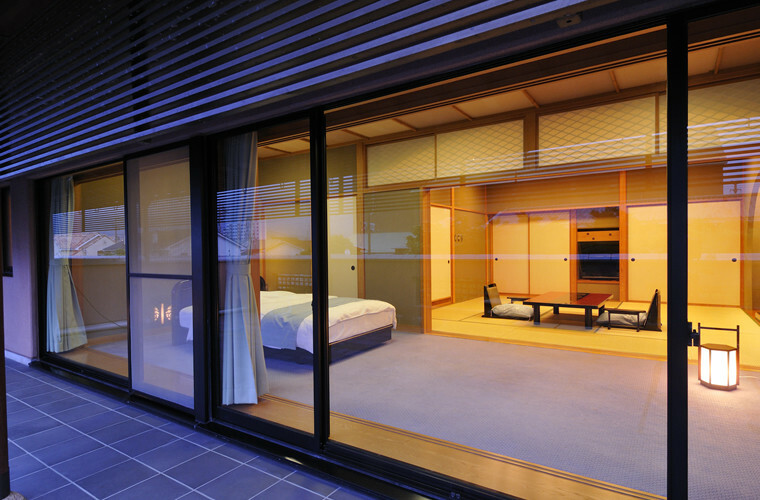 Up to 6 people can stay in this suite. 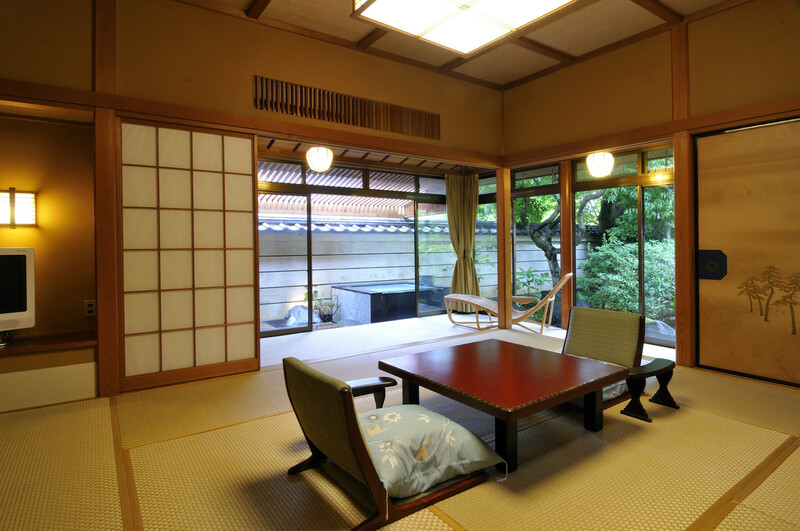 A well equipped Japanese style suite with a terrace where guests can enjoy a beautiful view of the moon and the Japanese garden. 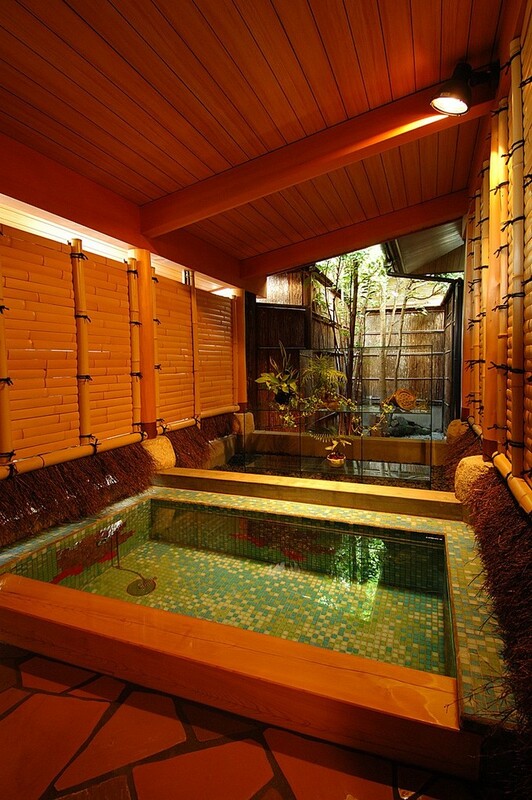 It has a private hot spring bath. 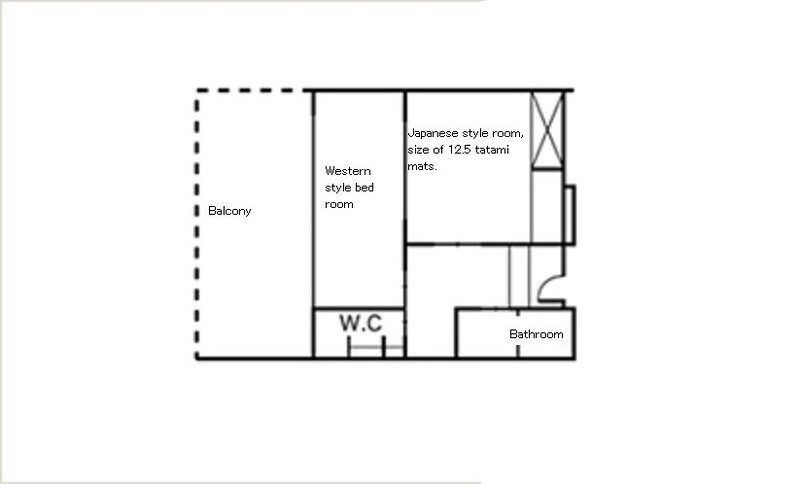 Up to 5 people can stay in the suite. 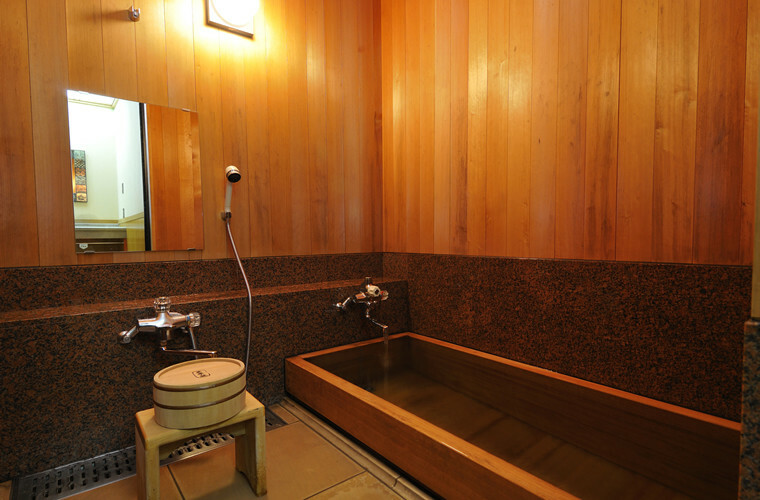 A spacious fully-equipped Japanese style suite that can hold up to 6 guests, with private hot spring bath. 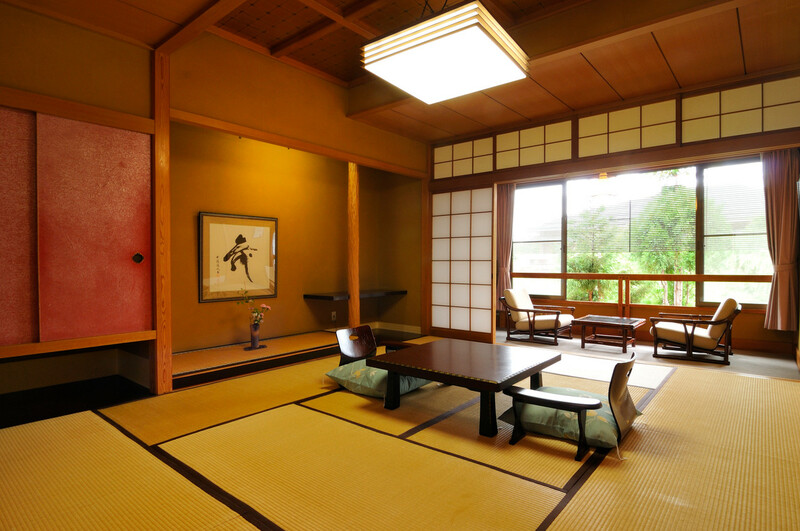 Built around the Japanese garden, with fancy wood from all over the country. 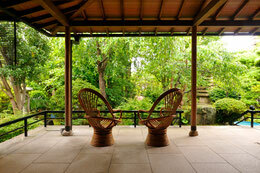 A well equipped suite with a terrace where guests can enjoy a beautiful view of the moon and the Japanese garden. 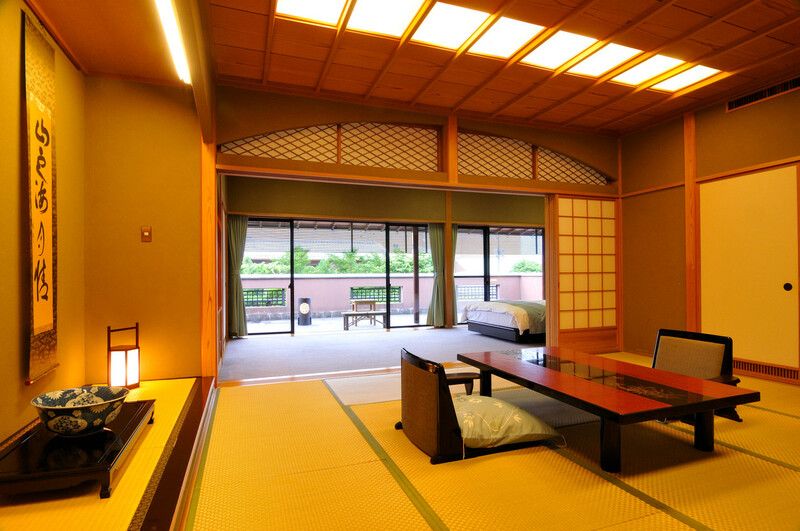 The guest rooms are a combination of Japanese and Western styles. 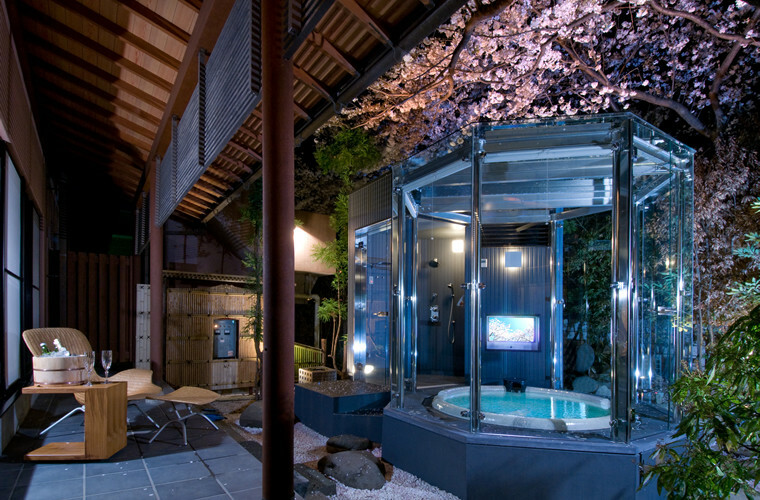 There are both indoor bath and open-air bath in the suite. 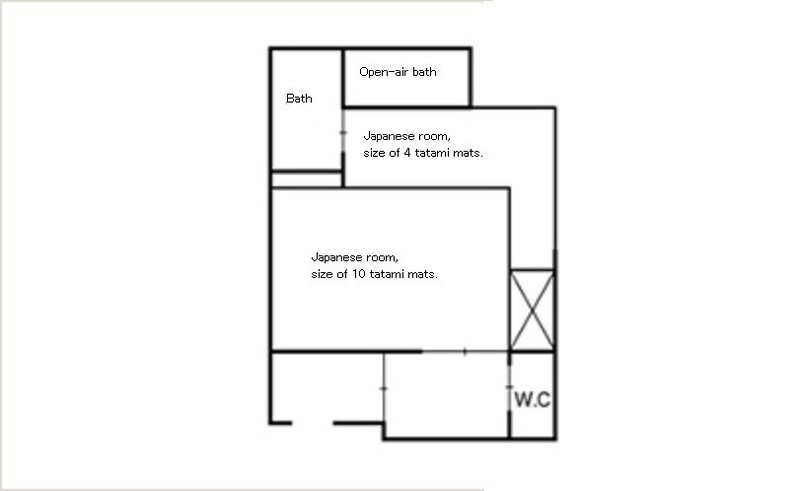 It has a capacity of 4 to 6 people. 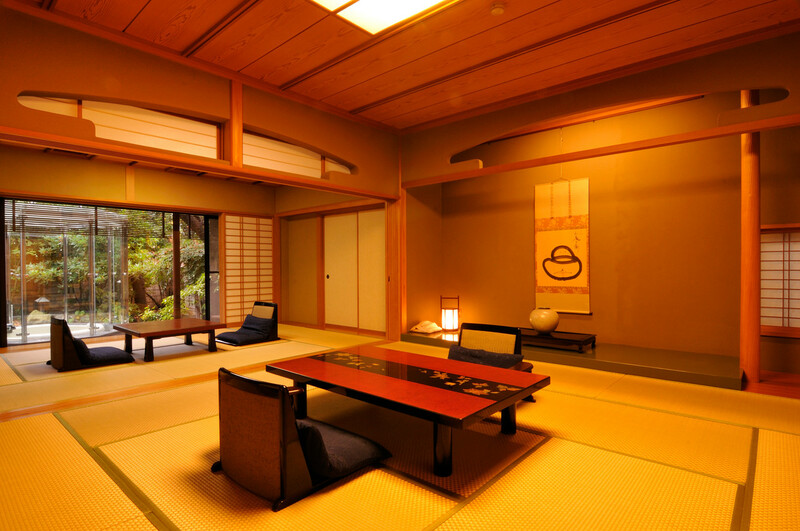 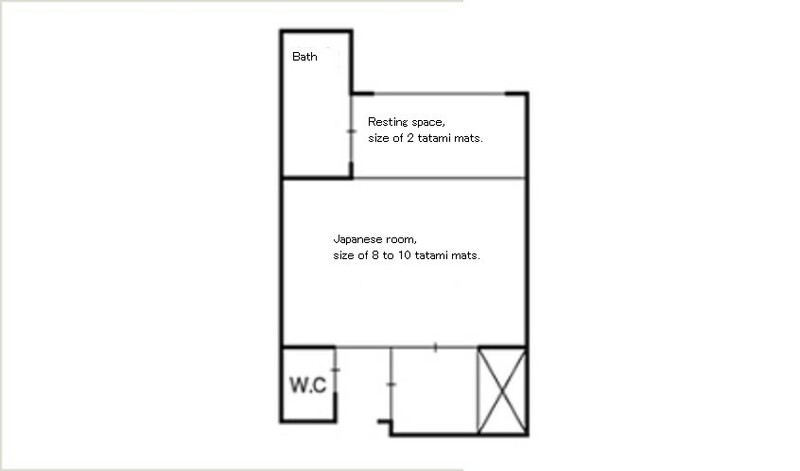 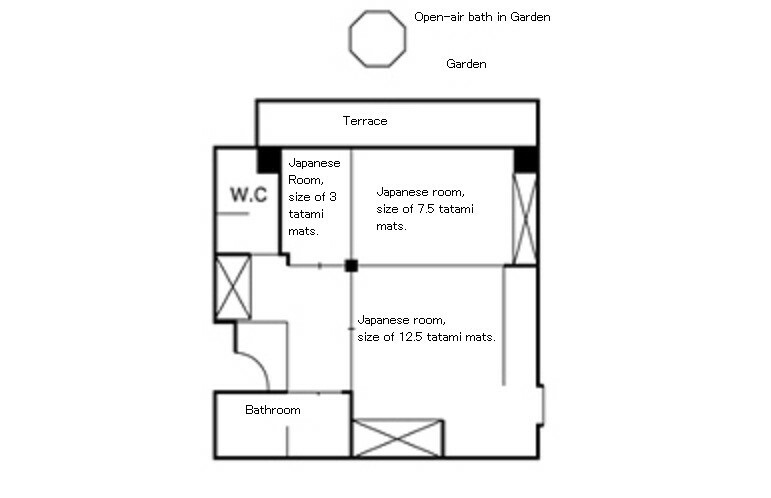 A simple Japanese style guestroom, with private hot spring bath. 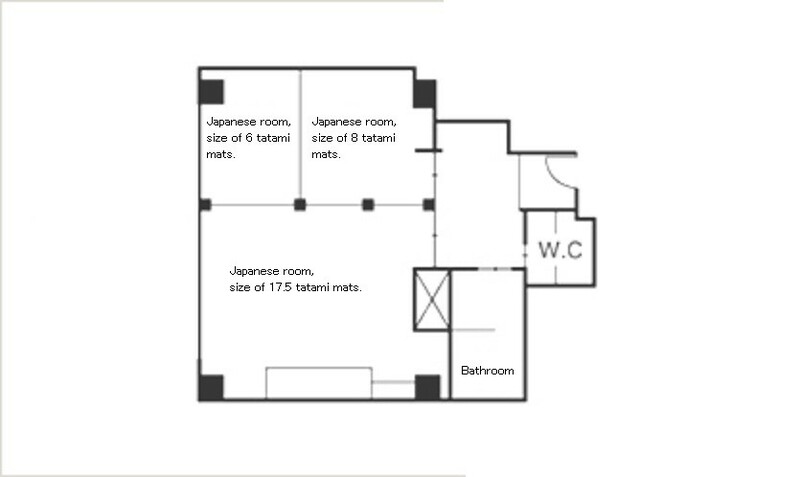 Up to 4 guests can stay in the room. 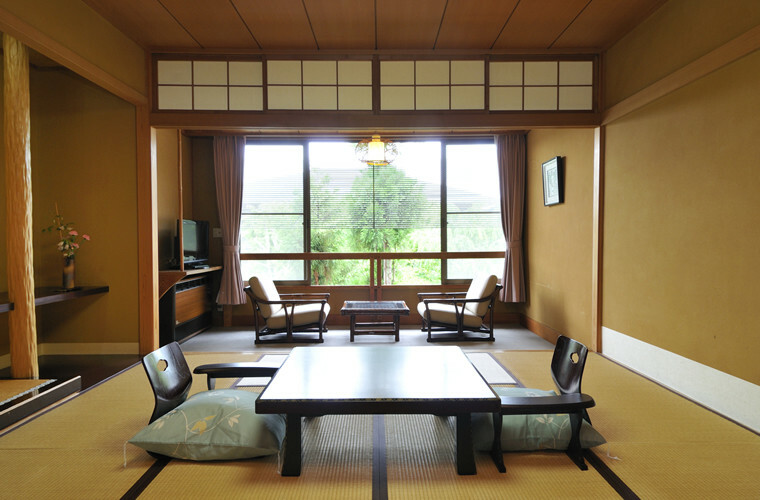 In the center of the hotel, surrounded by guestrooms, is a Japanese garden symbolizes the great beauty of nature of Japan in all seasons.